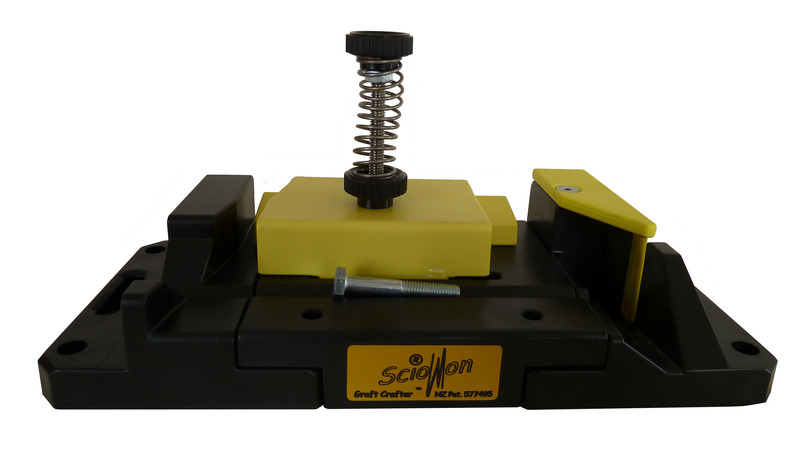 The SCIONON® Graft Crafter™ is a revolutionary new tool which will efficiently aid scion preparation and assembly. It is a bench mountable device which enables increased safety & productivity for novices through to experienced propagators. With it you have the ability to accurately bench graft the technically difficult ‘whip & tongue’ graft with ease, or pre-prepare scions of many other different graft types for grafting on later in the field. 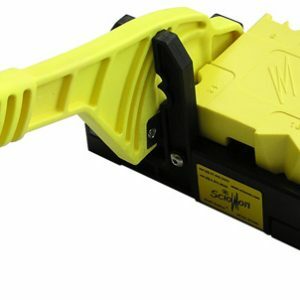 For convenience the device is portable and can even be used in the field close to where you are working. It has been more than five years in development and is thoroughly field tested. 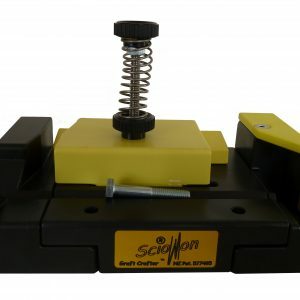 The SCIONON® Graft Crafter™ will deliver and change the way you graft. With care and practice you should get years of productive trouble free operation from your investment. 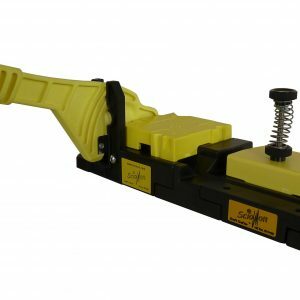 The GBU is the recommended basic unit for most typical bench grafting programs, preparing graft wood 5mm to 15mm in diameter. Other Scionon modules can be added to this basic unit over time as needed. THIS IS THE UNIT RECOMMENDED FOR ALMOST ALL APPLE GRAFTERS!